A few weeks ago at the SNAP conference, I had the honor of sponsoring the breakfast! It was awesome sauce amazing fun and so inspiring too. Being surrounded by so much talent and so much love really sparks the soul and awakens the heart. Check out the centerpiece of this table! I made these flowers in the jars with my flower die from Sizzix and felt from Kunin Group then used little bottles of Aleene’s Tacky Glue to hold them in place. Super fun right? The table was scattered with stamps I design for Expressionery and other licensed products I have in the marketplace for the attendees to take and enjoy. But this is about the JARS! 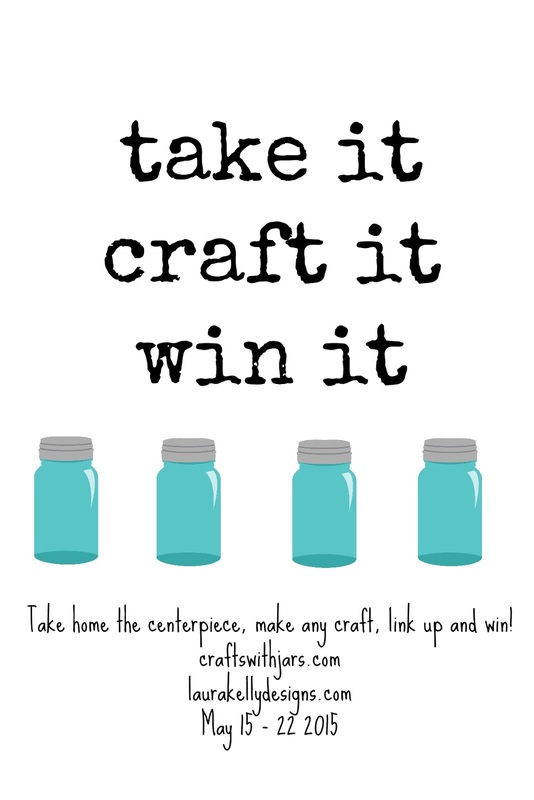 The jars had tags on them to take them, to craft with them and to maybe even WIN something. This is a tag! If you took one, I hope you have been busy! First of all, for those SNAP! attendees, link up any craft with a quart size mason jar in the linky party below. We will randomly pick a winner once the linky party closes. The winner will receive a mystery box valued at a minimum of $50. So grab those jars and link em up before May 22nd y’all! If you did not attend SNAP! or for a second entry to those linking up above, fill in your information on the rafflecopter form below for a chance at another mystery box valued at a minimum of $50. Must be 18 years old or older to enter. Void where prohibited. Good luck y’all (in the words of Angie from Crafts with Jars)! Thanks for the fantastic speech and goodies at SNAP! It was so fun. Saving jars to go nuts with !! Wish I was there but little Kinders are finishing up a year of amazing growth! I’ve always been drawn to glass jars of all shapes and sizes. The possibilities of design are endless!